The weather looks like it will be awesome for next week’s city wide ADU Tour. The ADU Tour hosts are excited to open their doors for the tour. In addition to the time and energy they are spending to present their ADUs, they’ll be sharing their personal trials and successes with ADU development, their insights about the costs, design choices, and technical and regulatory issues they faced. This group of hosts are extremely knowledgeable, and tour attendees should plan to take advantage of the collective knowledge that they have to share. 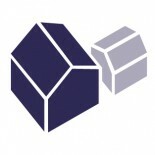 ADU owners can learn about the development process and get inspired and prepared to proceed with their own project. Whether you’re trying to find the ‘right property’ to purchase on which to potentially build an ADU, figuring out where on your site an ADU should be situated, looking for designers/builders for your project, a professional trying to break into the ADU market, or a homeowner selecting the finish materials for your ADU that is already under construction, the tour has something for you. With over 450 registrants from 33 cities, 9 states, and 18 small homes to check out, this is the largest tour of small homes that we know of. The Oregonian recently wrote a piece about it and KGW will be airing a segment about the tour on Thursday (9/15) at 7pm. Click the button below to register for the tour. Note that if you show up at the tour without pre-registering, you’ll still have to register online before actually picking up a wristband and ADU Tour packet, so it’s best to register in advance. 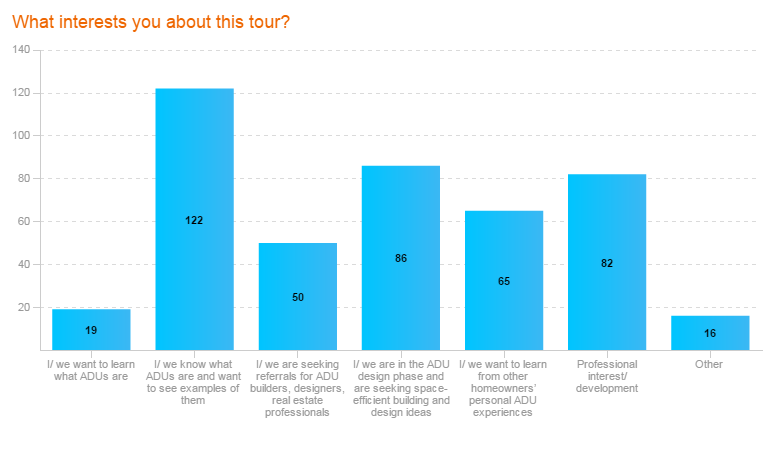 Plus, registered attendees can now access the password-protected ADU Tour Page for Attendees to read about all the ADUs on the tour. Reading this information before the tour helps attendees take full advantage of tour day. We hope that you’re able to attend the ADU tour, and that it helps you figure out how to proceed with your own small house dreams. This entry was posted on September 12, 2016 by Kol Peterson in Events and tagged ADU Tour.